An authentic 19th-century jail with a difference; live costumed actors portray real-life characters from the gaol's history. 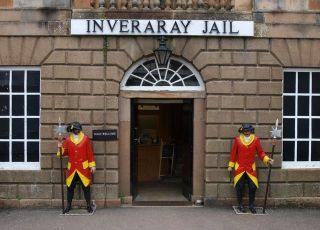 See courtroom trials, converse with prisoners, get a taste for what it was like to be incarcerated in the Jail..
History comes to life at Inveraray Jail. Visitors can talk to costumed characters including a warder and prisoners. Experience life in a cell, and see what punishments awaited those who misbehaved. There is a large collection of artefacts from the jail's history. Inveraray Jail is a frequent destination for ghost hunters, and you can attend a ghost-hunting night and paranormal investigation events if you dare! The Jail dates to 1820, and consisted of a single block of 8 cells, with the jail beneath a new courthouse. It must have been a pretty dire experience for inmates, and it was not until 1843 when an exercise yard was built (called 'Airing Yards'). In 1848 a New Prison for men was built. For the time it was an innovative, model design, with 12 individual cells, a communal wc on each floor, warder accommodation, a storeroom, and an exercise yard. This new building had gas lighting and was well-heated, which must have seemed like practically a luxurious change from the earlier prison accommodation. 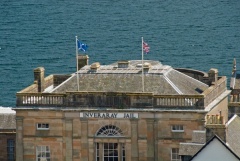 Inveraray Jail remained in use until 1889, and the court ceased being used in 1959. Almost 100 years exactly after the last prisoners left Inveraray, the Jail was restored and opened to the public as a heritage attraction in 1989. What is wonderful about the Jail experience is how much is authentic. Even the court cases that visitors can sit in on are actual cases, well-researched and re-enacted to create an authentic experience of what life was like here in the Victorian period. 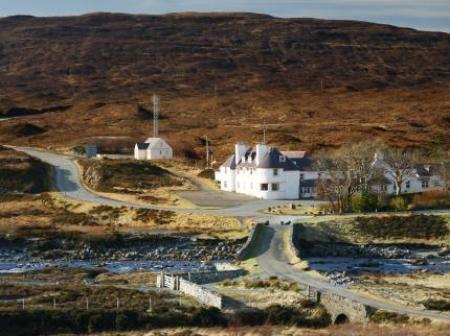 Nearby accommodation is calculated 'as the crow flies' from Inveraray Jail. 'Nearest' may involve a long drive up and down glens or, if you are near the coast, may include a ferry ride! Please check the property map to make sure the location is right for you. 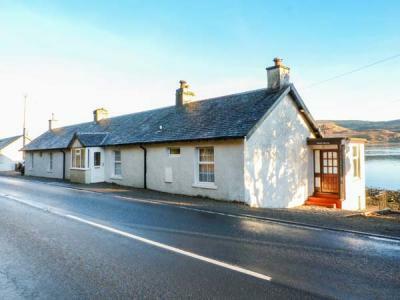 This terraced cottage is close to the town of Inveraray near to Lochgilphead and can sleep two people in one bedroom.